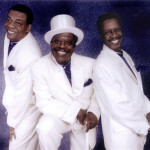 Doo Wopp Love from Non-Doo Wopp Artists - Pop, Rock & Doo Wopp Live! 3. Itzhak Perlman, internationally-renown violion virtuoso and winner of 15 Grammy Awards, digs doo wopp. 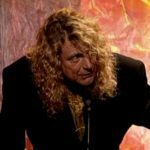 Perlman, who played the violin solos on the Schindler’s List soundtrack, says he loves to watch doo wopp specials on PBS. 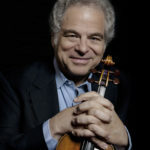 In 2014, the public television series included an interview with Perlman on the topic in “Doo Wop Discoveries.” In 2014, Itzhak Perlman took the stage with a pick-up doo wopp group at a Sarasota, Florida fundraiser. 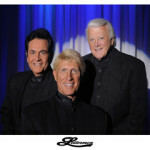 He showed off his singing chops on the Five Satins’ “In the Still of the Night”, among others. We will never share your e-mail address and you can unsubscribe with 1 click at any time. 4. 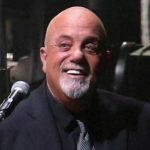 Train’s LP “A Girl, a Boat, a Bottle” featured the song “Play That Song”, set to the tune of “Heart and Soul.” It was instantly deemed a neo-doo-wopp confection by many major music review outlets, in the vain of Meghan Trainor’s and Bruno Mars’ frequent tips of the hat to the genre. However, many overlooked the more overt doo wopp homage on the album, “Valentine”. The song kicks off with a bass line straight out of 1961. One can’t help but wonder if Train’s “Calling All Angels” lifted it title from the Crests’ hit “Trouble in Paradise.” The latest album has launched the band back on tour, where they’re frequently sharing the stage with Hall and Oates. Listen here. 6. 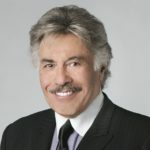 Tony Orlando – Although his singing career began with an unrecorded doo wopp group, Tony typically neglects his early hits reminiscent of the genre when performing. 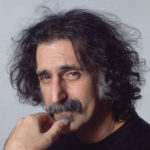 (Think “Bless You” and “Halfway to Paradise.”) However, he frequently includes songs such as “Tears on My Pillow”, “Earth Angel” and “Silhouettes” in his show. In the late 90s, Orlando created a scripted stage show called “Jukebox Dreams”. It chronicled a doo wopp group whose heyday was long past but still dreamed of hitting it big. 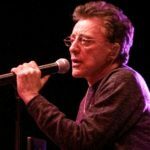 Tony included a few original tunes as well as a slew of doo wopp standards. 7. In a 2002 interview, Red Hot Chili Peppers lead singer Anthony Kiedis revealed a previously-uncited influence. “John (Frusciante) and I are both very much in love with doo wop – vocal music from the fifties.” Frusciante was the band’s guitarist and largely responsible for the arrangements on the band’s LP “By the Way.” While the press credited the Beatles and Beach Boys for the inspiration, lead singer Anthony Kiedis revealed the deeper roots of the influence. 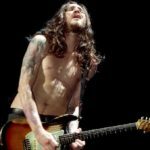 If there was any doubt about just how serious Frusciante was about his love of doo wopp, he’d frequently sing the Chantels’ “Maybe” in RHCP live concerts. Click here to see “Maybe” by John Frusciante. 10. 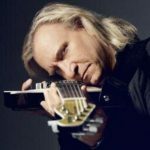 While the Eagles were influenced by a number of west coast bands including the Byrds and the Beach Boys, Joe Walsh (#54 on Rolling Stone’s list of “100 Greatest Guitarists of All Time”) says, “My first influence was rock ‘n roll from the mid fifties to the early sixties doo wopp and things from that era.” He made the statement in an interview with Music & Musicians magazine in June 2012.